This My First I Can Read! book—a classic retelling of the story of Esther—with basic language, word repetition, and vibrant illustrations, is perfect for beginning readers and for shared reading with your children and grandchildren. Esther has become the queen of Persia, but God has a bigger job for Esther than just being queen. The safety of God’s people rests in her hands. Can Esther find the courage to help save her people from Haman’s evil plan? 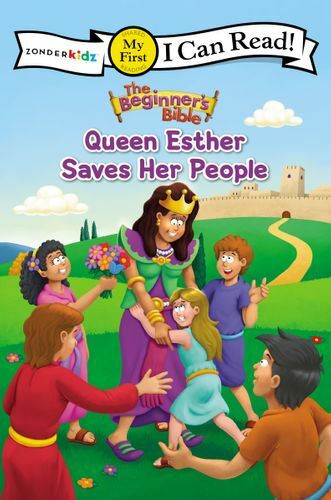 Featuring lively art from the beloved The Beginner’s Bible, Kids will follow along with the colorful illustrations and easy-to-read text throughout The Beginner's Bible Queen Esther Saves Her People. This retelling of the story of Queen Esther is perfect for young readers as they learn, read, and see how a brave queen helped protect God’s people.